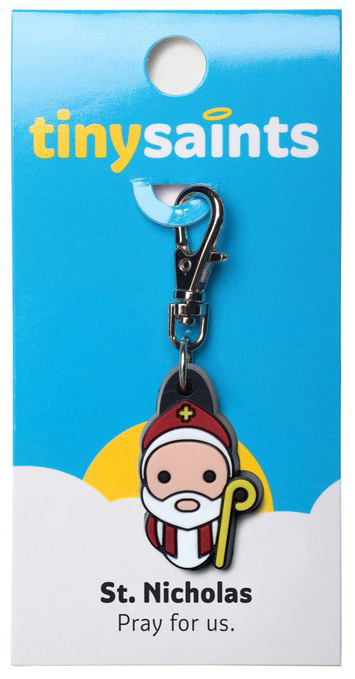 Saint Nicholas is coming to town! The feast of Saint Nicholas is upon us! This Tiny Saint celebrates the life of a great man, and also makes an amazing graduation gift! Saint Nicholas of Myra, also known as Nicholas the Wonderworker, lived in Asia Minor, modern-day Turkey. While he was very rich, due to his parents leaving him a lot of money upon their death, his legacy is that of a very kind man who was known to help the poor and give gifts to those who needed it. This is what lead to Sinterklaas, Saint Nick and Santa Claus. Saint Nicholas is a good reminder of the generosity that we should all strive to show in our own lives.